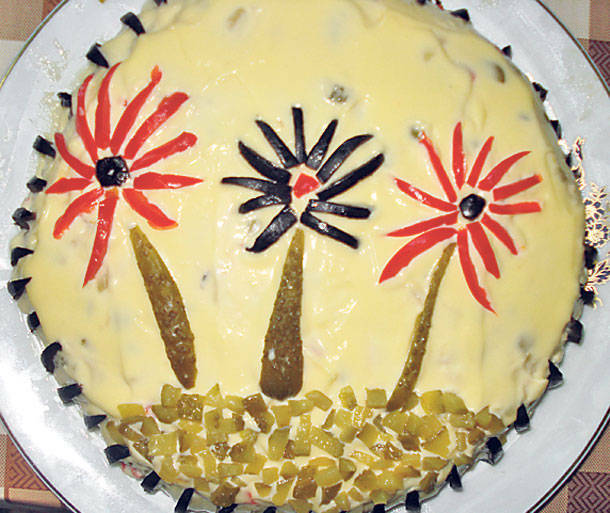 This dish is usually prepared for special occasions. 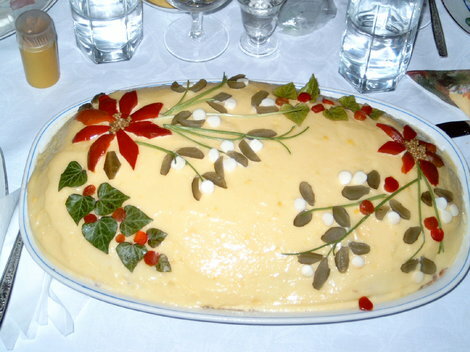 There is boeuf salad at the Christmas and Easter table, but it is consumed on other kinds of festive occasions as well. 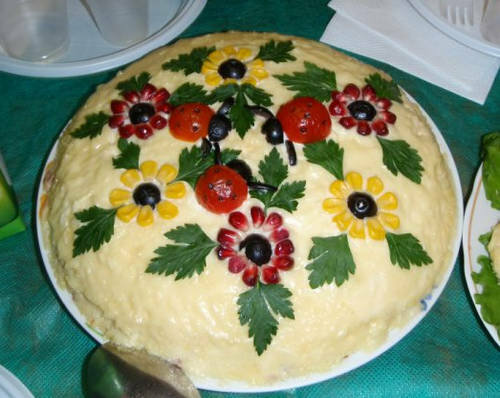 It is, simply put, one of the dishes that define Romanian holidays. It’s extremely simple to make. 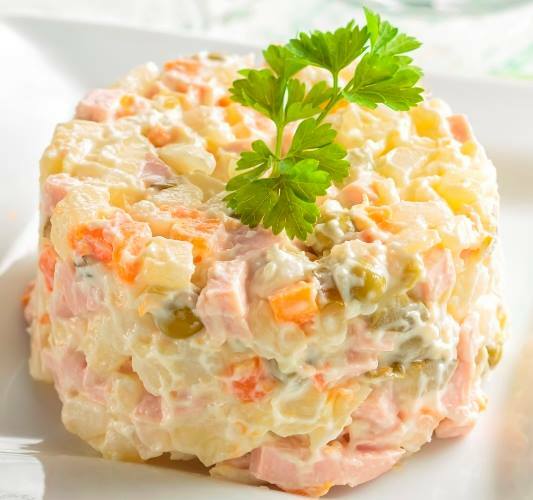 You need the following: 1 and a half kilos of potatoes, a half a kilo of carrots, a half a kilo of pickled cucumbers, pickled red peppers (how many you like), 700 grams of beef, 1 tablespoon of mustard, a half a kilo of mayonnaise, salt and pepper. You can add more vegetables if you want to, such as peas or corn. First you need to boil the potatoes together with the carrots and the beef in salted water. In the meantime, you can cut the cucumbers and peppers into small cubes and put them in a large bowl. Now you also have time to make the mayonnaise, for which you will need a raw yolk, some mustard and oil. You put the yolk in a bowl and start mixing in oil and some mustard every now and then, but make sure that you only mix in one direction. When the meat and vegetables are boiled, you should let them cool and then cut them up into small cubes as well. And now you can mix everything together: the potatoes, carrots, meat with the cucumbers and peppers and with two thirds of the mayonnaise. The rest of the mayonnaise should be spread on top of the salad, which can be finished off with a few pieces of cucumbers or paprika and parsley leaves. 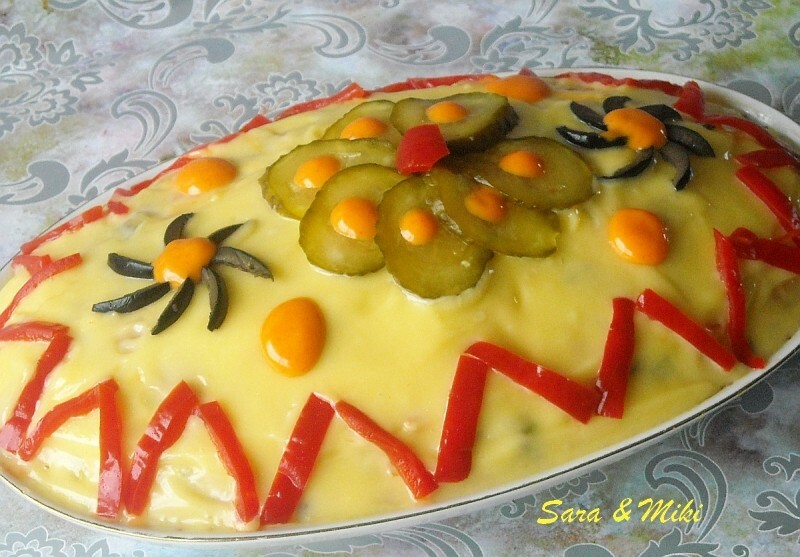 Romanian women usually ornate the salad with beautiful shapes made from the cucumber and pepper pieces: flowers, animals, birds and so on. “SALATĂ DE BOEUF. 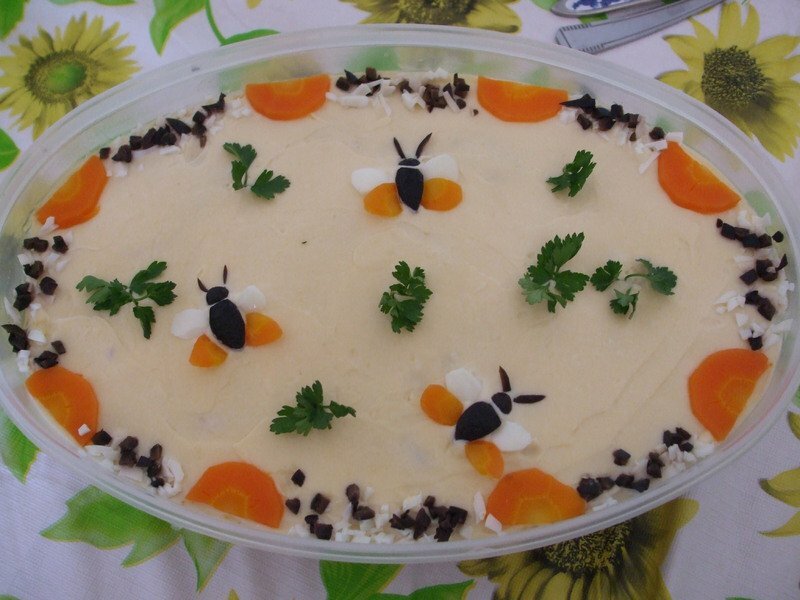 Trei reţete simple pentru a prepara această mâncare populară de Paşte”, Gândul, April 6th 2015, Available at: http://www.gandul.info/salata-de-boeuf-trei-retete-simple-pentru-a-prepara-aceasta-mancare-populara-de-paste-14109241.html, Accessed: 11.19.2015. Bradea, Gina, “Salată de boeuf - reţeta veche”, Poftă-bună, December 29th 2014, Available at: pofta-buna.com/salata-de-boeuf-reteta-veche/, Accessed: 11.19.2015.